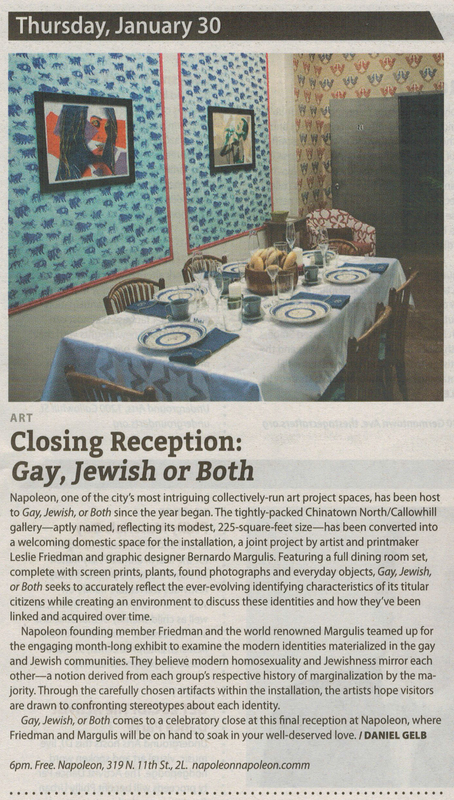 Napoleon founding member Friedman and the world renowned Margulis teamed up for the engaging month-long exhibit to examine modern identities materialized in the gay and Jewish communities. They believe modern homosexuality and Jewishness mirror each other–a notion derived from each group’s respective history of marginalization by the majority. Through carefully chosen artifacts within the installation, the artists hope visitors are drawn to confronting stereotypes about each identity.